The King’s School first moved in to the St Augustine’s site in 1976. It was purchased in 1993. The Missionary College was created by Alexander Beresford Hope, working with the architect William Butterfield, and opened in 1848. 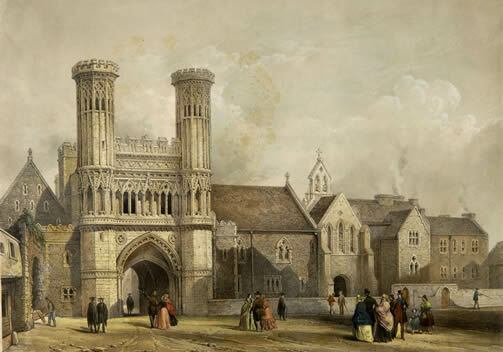 Some of the old abbey buildings were restored and some re-modelled, and some parts of the College were newly constructed. The College closed after the bombing of 1942. The site was occupied by the Central College of the Anglican Communion from 1952 to 1967 and used as a theological college from 1969. There are now five boarding houses: Tradescant, Broughton, Bailey, Harvey and The Grange as well as the School Library and the Cellarer’s Garden.